I grew up with a pot of canela on the stove. My grandma's house always smelled of the tea of cinnamon sticks. My mother's house often smells of canela, as does mine. I suspect that is why most of my mom's generation is not afflicted by diabetes. Canela offsets sugar in the blood, as my aunties called it. Aunt Emma sugg ests eating a teaspoon of cinnamon spice with meals to improve insulin's efficiency. There's other lore about diabetes. For instance, many curanderas say that diabetes is caused by susto or a trauma or soul wrenching incident. Today, studies shows that adult onset diabetes sometimes manifests after a stressful period. People with diabetes are also said to be corajudos, or angry and irritable. In Mexican Traditional medicine, this is connected to people's systems being taxed. Diabetics often need additional vitamin B, which feeds the pancreas and nervous system. Type 2 diabetes, or what was called adult onset diabetes, occurs when the body can no longer regulate blood sugar levels. Recipes abound for managing and even eliminating diabetes in Indigenous herbal knowledge. In recognition of this disease that afflicts so many of the original inhabitants of the Americas, for Native American history month I offer a few herbal remedies. Trumpet flower, or tronodora, a beautiful orange flower that grows on a vine, is often administered as a tea. Eucalyptus leaf tea, as well as Matarique, are also popular in Mexican remedies. Chaya leaves and chayote squash are often administered in a tea or blended drink with other plants and greens, such as celery, parsley, cucumber, cactus and citrus. Aloe vera leaf tea also nourishes the pancreas. Cut about an inch and half and split open and steep in one cup boiling water for one minute. Cedar leaf and berry are also useful as a tea as is a decoction of blue berry leaves (where several cups of tea are cooked down to a cup or two by a low flame). Onion and garlic are said to lower blood sugar. Te limón or lemon grass tea is also beneficial. Consuming a tea of nettles (hortiga) and dandelion (diente de leon) supports the kidneys and the over health of a diabetic, as will eating avocadoes, cucumbers (skin and fruit) and artichokes (and the juice that chayote or artichokes are cooked in). 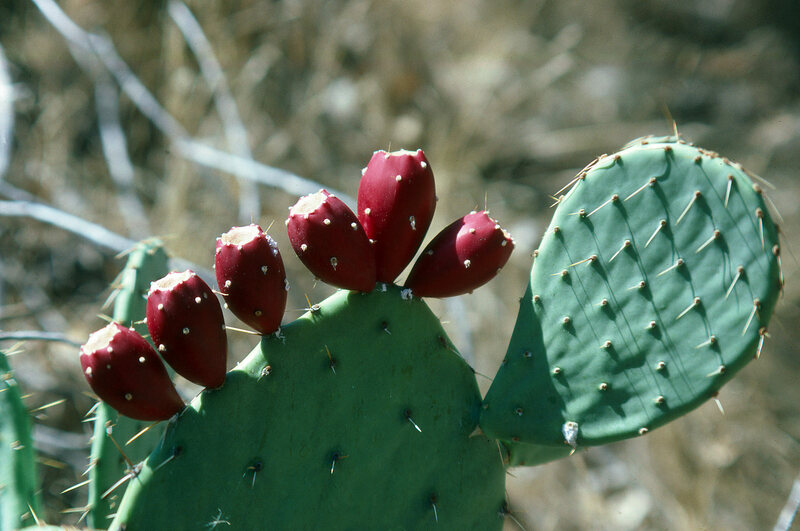 Perhaps the most widely followed remedy in Mexican traditional medicine is prickly pear cactus, which grows on many reservations and across much of the Americas. Though not all Native groups have a tradition of eating them or have discontinued that practice, Native populations with a cactus patch have a small pharmacy in cactus. It's good for diabetes and the heart and an excellent meat substitute when combined with avocadoes/or beans and eggs. You can grill it; sauté it with tomatoes and onions; or liquefy it with water, OJ or pineapple juice. All of these methods will yield results. Juicing is the most intense form of receiving the benefits of cactus and it should be viewed as a medicine. If blending, use about a half cup of fresh cactus with 4 to 8 ounces of water or juice. You should drink it on an empty stomach up to two times a day. More is not necessarily better because as it balances insulin levels, it can interact with medical drugs – so check with your doctor if you are under medication. You can also soak the ends or joints of the de-thorned cactus in a cup of water. Another popular combination is sold as "nopalinaza," dried cactus and flaxseed. While this combination can be effective, it's always preferred to ingest them as fresh ingredients. Flaxseed can go rancid. The benefits of cactus come from both its fiber and its slimy constitution. You can soak a tablespoon of flaxseed and a few joints or pieces of the cactus in one cup of water overnight and drink in the morning, for an inexpensive version of "nopalinaza." In a previous column, I have written more extensively about nopal/cactus and I suggest you refer to the archives. Remember, diabetes requires more than an herbal tea. For best results, you must follow a healthy diet, watch your sugars and carbs and EXERCISE. As always, check with your doctor, an experienced herbalist, elder or health care practitioner regarding use of these remedies. Pregnant women should not undertake herbal remedies unless they are supervised by an experienced midwife or herbalist. It is best for them to use their food as medicine. In other words, what you eat can boost your health and that is medicinal. So eat cactus, cucumbers, chayote and artichokes, as part of healthy meals.